Dr. McLarney is a Full Professor who joined the faculty at Dalhousie as an Assistant Professor of International and Strategic Management in July 1999. Since 2009 she has been Senate Vice Chair (Academic Programs). She came to Dalhousie from Illinois State University where she taught International and Strategic Management since 1996. She holds a Bachelor of Commerce (Economics) and a Masters of Business Administration from the University of Windsor and she completed her Doctoral degree in Strategic Planning and International Business in 1997 at York University. From 2001-2004, Dr. McLarney was the Director of the Centre for International Business Studies at Dalhousie. She teaches the undergraduate and graduate International Business and Strategic Management courses as well as in the MBA (Financial Services) Program. She was chosen as Commerce Professor of the year in 2001, received the A. Gordon Archibald Award for Teaching Excellence in 2003, and won the Manulife Teaching Excellence Award for 2005. In 2008 she won the Faculty of Management Teaching Excellence Award, Dalhousie Student Union Teaching Excellence Award, Faculty of Management, Second Year MBA Professor of the Year, and the Commerce Professor of the Year. She was awarded the Faculty of Management Teaching Excellence Award and was named the Commerce Professor of the Year 2010. In 2008, 2014 and 2015 Dr. McLarney was awarded MBA Professor of the Year. Prior to completing her doctorate, Dr. McLarney held management positions in various companies in the hospital, transportation, and consulting sectors. Her research interests include the interface between small businesses and international business strategy, and the use of strategic alliances. 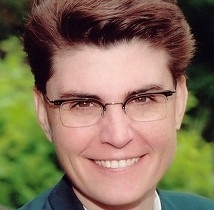 Dr. McLarney has published over two dozen articles in several journals, including the Journal of Global Business, Journal of Organizational Change Management, International of Social Economics, Women in Management, The Learning Organization, Journal of Management Education and the New England Journal of Entrepreneurship. Papers with her colleague Edward Chung, have received two Citations of Excellence, the Highest Quality rating awarded by ANBAR Electronic Intelligence and they were also awarded the Outstanding Paper in the 1999 Volume of Management Decision.